A HTML WebViewer should be created once at 10:00 every day. 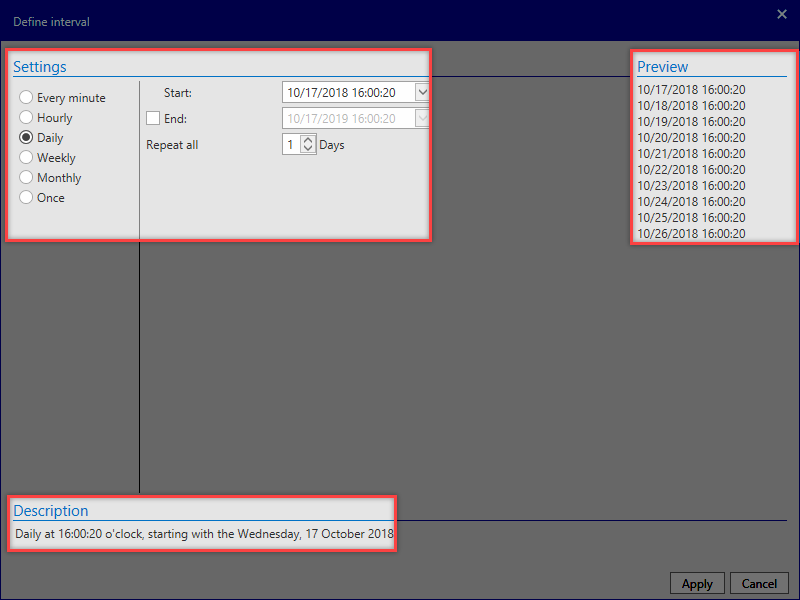 The user wants to be able to call up the WebViewer via his e-mail inbox so that he can also access it when not in the office. The HTML WebViewer can be generated from the Professional Edition onwards. The SMTP server needs to be set up in advance using the setup wizard or alternatively in the backstage under Advanced settings. In addition, export rights to the desired passwords are required. 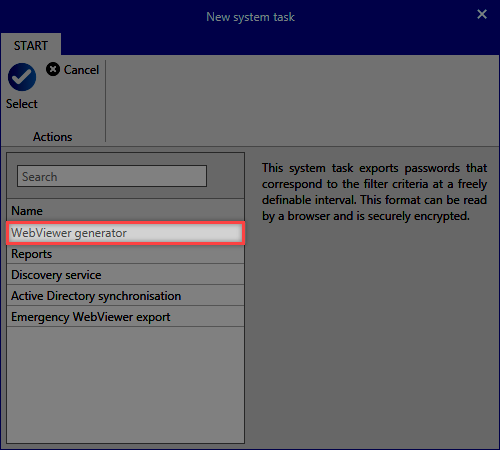 The WebViewer is then configured as required. An interval of 10:00 every day is set. 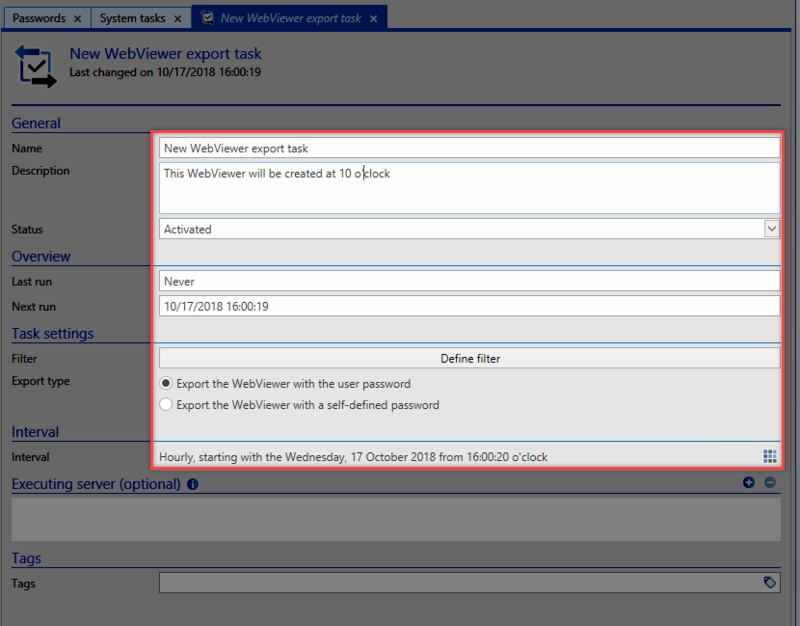 After the task has been run, the WebViewer that was created is delivered to the notification module. E-mail forwarding is also set up via the ribbon in the notifications module. In the next step, a new forwarding rule is created via New. The required settings are shown on the screenshot.